So, Tedi’s adventures started right here…. 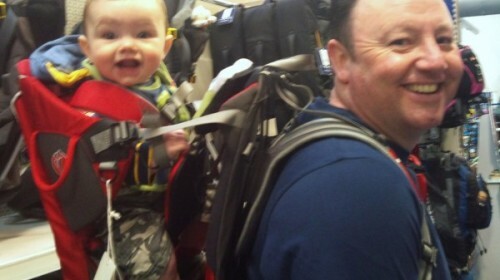 in Cotswold Outdoor where we tried the Little Life Traveller S2 Child Carrier out for size. When we were researching child carriers we found the Little Life range safe and comfortable for both me and Tedi, the minimalist design of the Traveller packs away to an ultra compact size, and it’s built with a slightly smaller frame to make it more suitable to put in the car. It also comes with a lightweight transporter case for protection when not in use, not that it will get dusty as I intend to use it as often as possible.